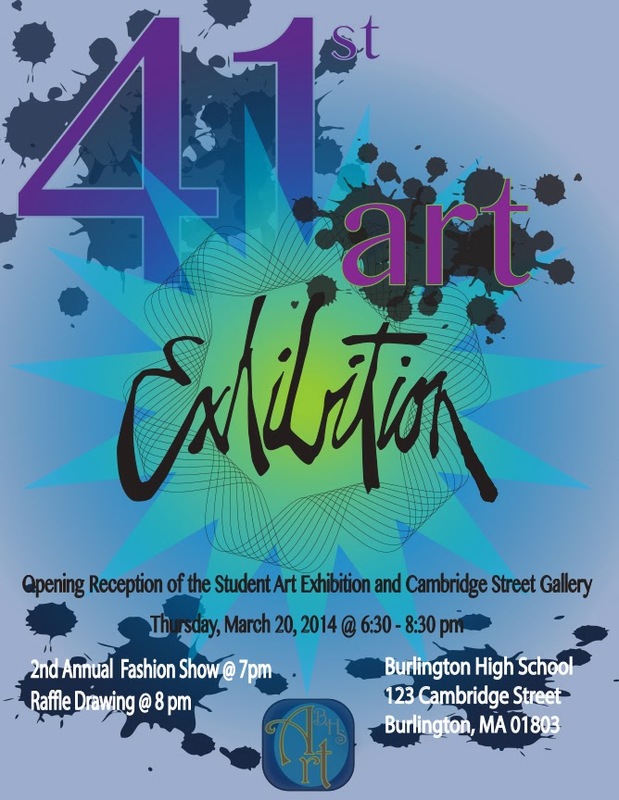 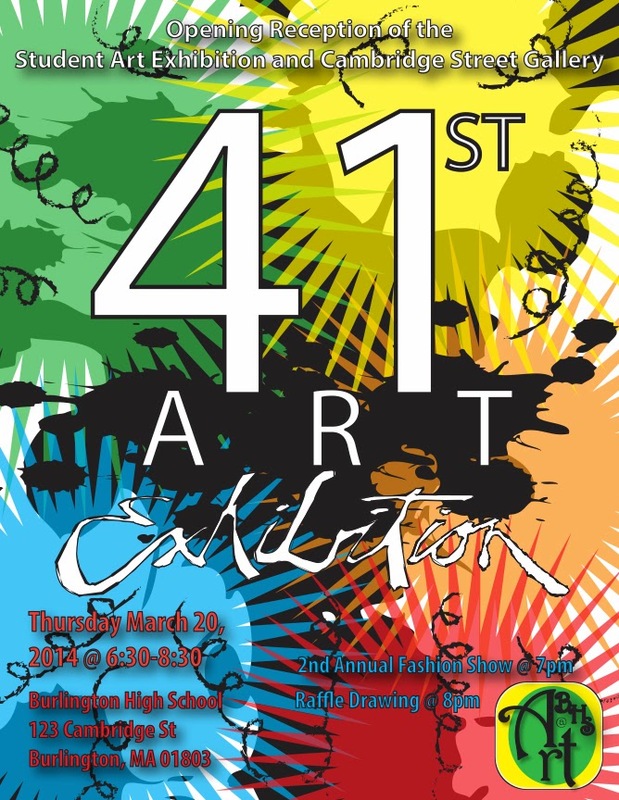 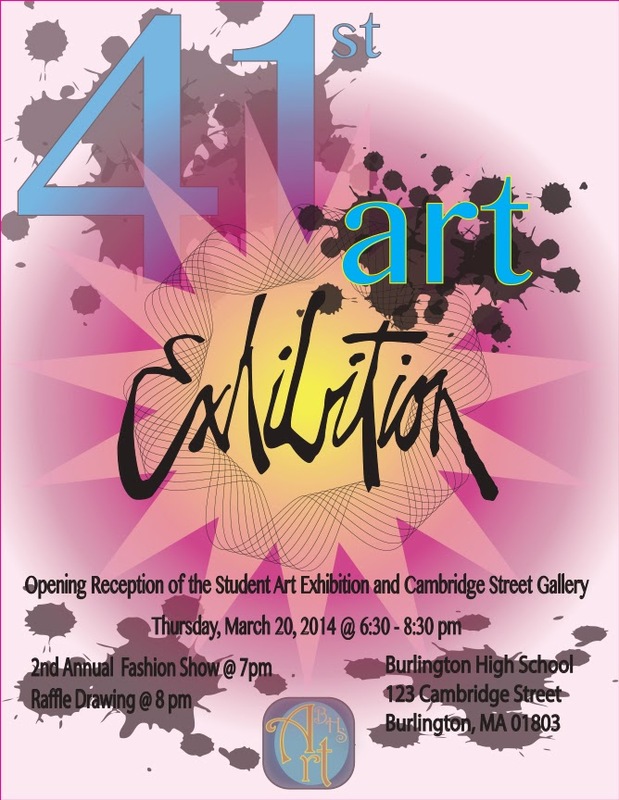 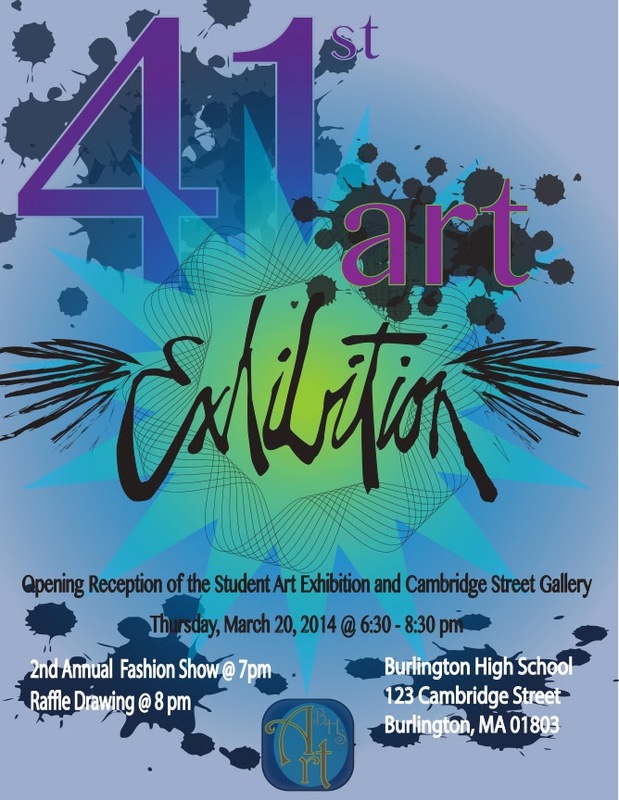 The opening reception for Burlington High School's 41st Annual Art Exhibition will be held on Thursday, March 20, from 6:30 until 8:30 pm, which is also the night of the high school's Open House. 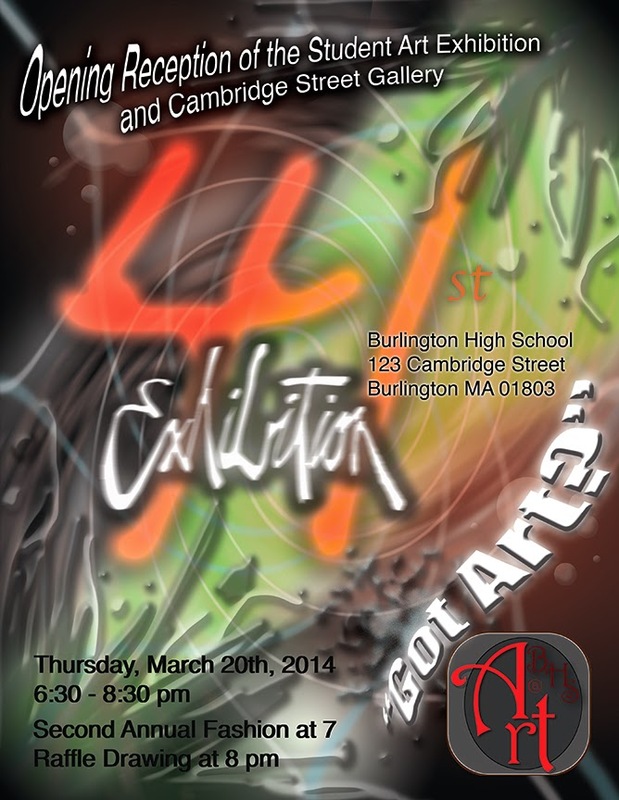 Hundreds of pieces of work from all art classes will be on display in the high school library and main lobby. 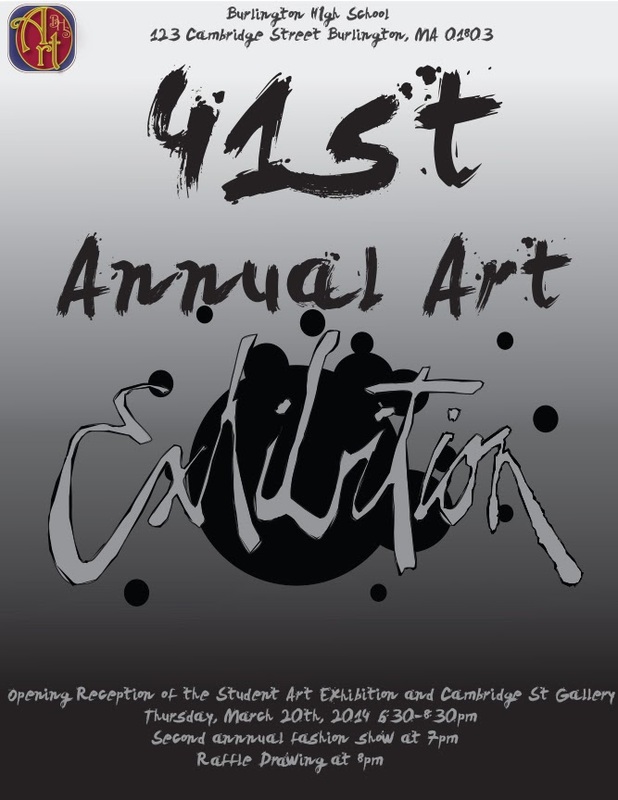 The show will be up until the second week of April, but this is the only night that the exhibition will be open to the general public. 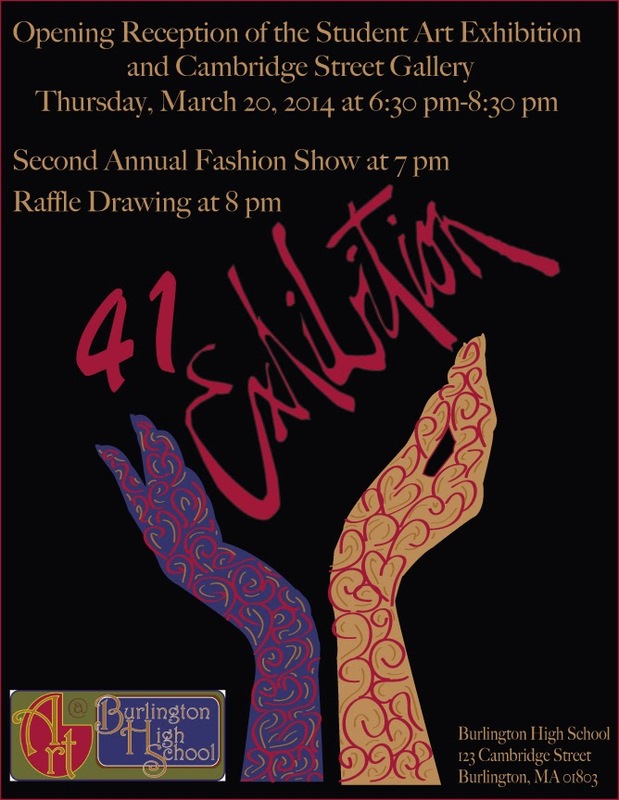 Also that night, the Fashion Design class will be hosting its second annual Fashion Show in the lower library.